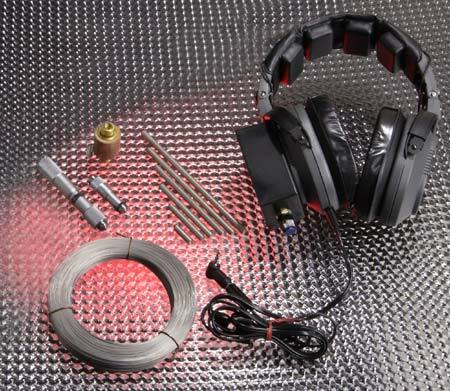 The head set alignment kit features high quality headphones that deliver a distinct click signifying wire contact. 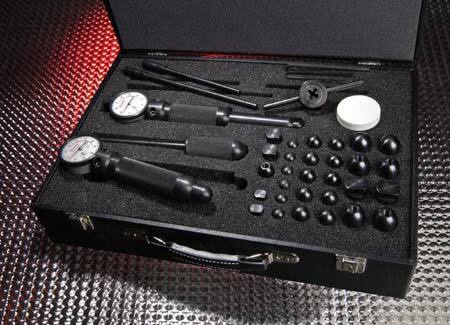 The kit includes: Starrett inside micrometer, two (2) heads (1/2 and 1 inch): insulator; 1 through 6 inch rods; tubing adaptor for longer extensions; battery, and tight wire. All are enclosed in a sturdy, compact case for ease of carrying and handling. This innovative clip on belt vibrating pack is used in the place of the headset. When contact is made with the tight wire, the pack vibrates and the red light on top of the unit lights continuously. 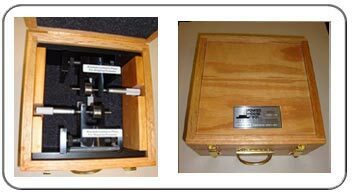 The kit includes the Clip on Vibrating Unit, two (2) inside micrometer heads (1/2" and 1"), 1" thru 6" measurement tips, extension rod adaptor, battery, and tight wire. All components are enclosed in a sturdy, compact case for ease of carrying and handling. 6" and 12" stackable stainless steel threaded rods can be combined to extend to the length required. They are easily shipped and then assembled on-site. They can then be simply disassembled and ready to ship for the next project. The rods will not oxidize and have high portability. 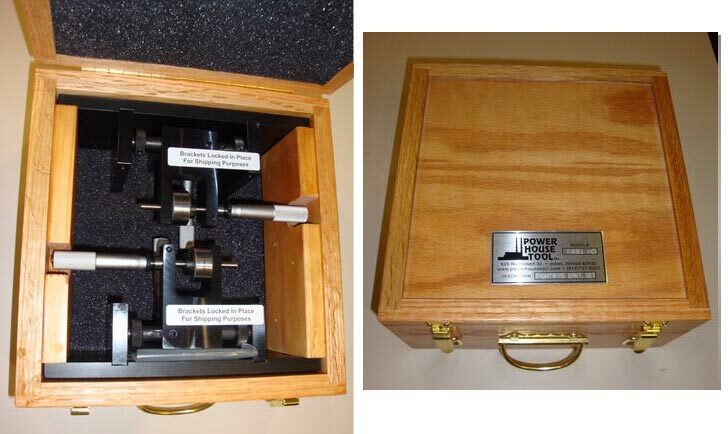 Power House Tool, Inc.'s heavy duty set used in turbine assembly has four Starrett micrometer heads which precisely adjust the industrial strength grade rollers providing the most accurate windage and elevation alignment readings on casings, shells, packing and diaphragms, Each set provides 2 brackets in a durable carrying case. Heavy Duty and Light Duty Tight Wire Brackets are packaged in Wooden boxes. The Extensometer is used for measuring stud elongation (stretch) on all turbine studs which have center holes like GE's and Siemen-Westinghouse's bolting applications. Copyright © 2011 Power House Tool, Inc.